Recoup your investment in InfoPath with the efficiency and accuracy afforded through a more robust and comprehensive alternative. As most Microsoft customers know, Microsoft has retired InfoPath forms and InfoPath is quickly becoming a thing of the past. But due to the time and work invested in InfoPath by many organizations, a transition or migration can seem daunting. Very complex forms created in InfoPath that support critical business processes need a well thought out conversion plan. IT leaders and professionals are seeking ways to recoup that investment with the efficiency and accuracy afforded through a robust and comprehensive alternative. 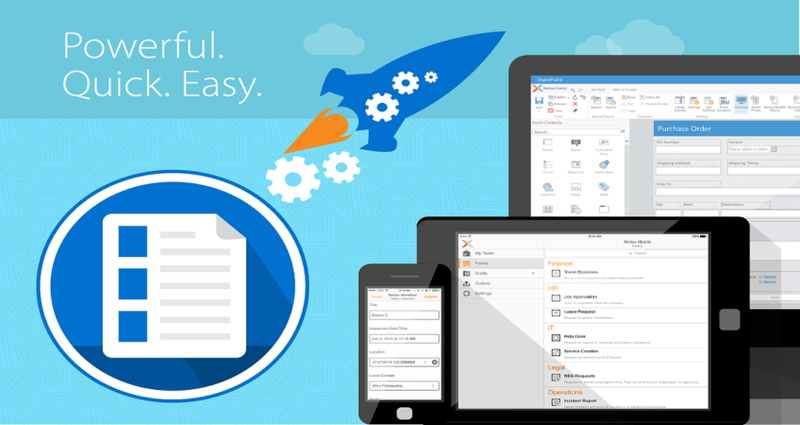 As an award-winning, global standard for Forms and Workflow Automation, Nintex provides a comprehensive and integrated workflow platform that enables enterprise IT to more quickly and easily create simple to sophisticated forms and business processes. More than 8,000 customers use Nintex’s automation platform to drive productivity and accelerate business results. The combination of an easy-to-use designer, mobility options, and advanced functionality makes Nintex Forms the ideal replacement for the retiring InfoPath application. If you are planning to transition from InfoPath to a more robust and modern alternative, start a conversation with us to begin assessing your current state and business needs, developing your transition roadmap and strategy, and exploring technology alternatives and options to ensure a successful transition out of your InfoPath environment. Call 713.505.0300 or Email info@optimumcs.com to see how we can help!